The weather gods smiled down upon San Diego over the weekend, drawing sighs of relief from AlumniFest organizers who say the 3,000 community college alum and others who attended a tailgate rally before a Gulls hockey game at Valley View Casino Center Saturday represent the largest crowd ever for an event of its kind. AlumniFest fans and their "thunder sticks." 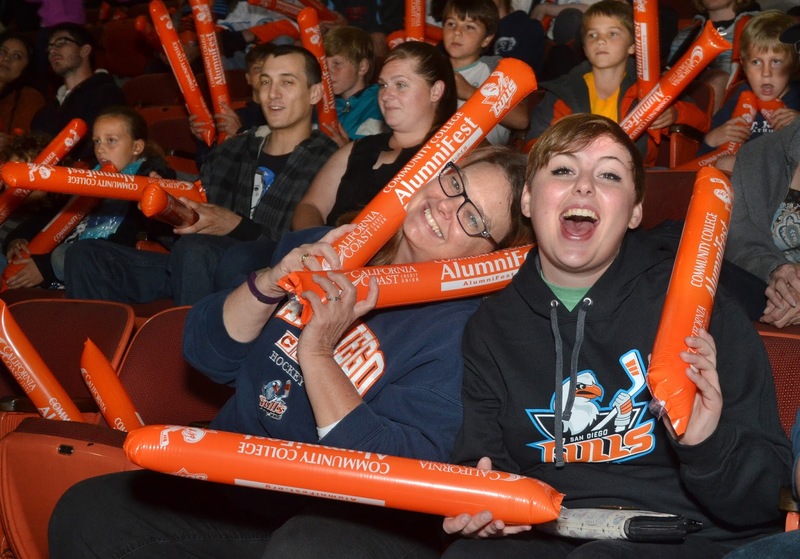 For the second year in a row, community colleges in San Diego and Imperial counties celebrated with Community College AlumniFest, a tailgate bash in the parking lot of the home arena for San Diego Gulls hockey club, co-host of the event, along with California Coast Credit Union. This year’s attendance topped the 2,300 at last year’s inaugural event, memorable for torrential rains and gale-force winds that forced the event indoors. State Senator Joel Anderson has come a long way since the days when he was a student at Grossmont College, living out of his car to save money so he could continue his schooling. He said the factory where he worked laid him off when they planned to move to Washington state. To save money, Anderson lived out of his car for about six months. “There are worse places than sleeping on the beach,” he said. A college friend, Barry Jantz, offered to let Anderson stay at his La Mesa apartment and the two became roommates. Anderson has remained lifelong friends with Jantz, a former La Mesa councilman who is CEO of the Grossmont Healthcare District. Anderson was rehired at his job when the factory’s move was delayed, and he worked 48 hours a week while attending Grossmont College. It took him four years to earn enough credits to graduate, but Anderson said the experience made him value his education even more. “Because I paid my way, I understood the importance of strong instructors who would provide an education that translated into an income and would provide for my future,” he said. When he transferred to California State Polytechnic University, Pomona, Anderson was pleased that all of his course credits from Grossmont College carried over. He even tested out of a required statistics class at Cal Poly because he had already learned the material in his Grossmont College class. Anderson’s first elected position was in November 2002, when he won election to the Padre Dam Municipal Water District board. 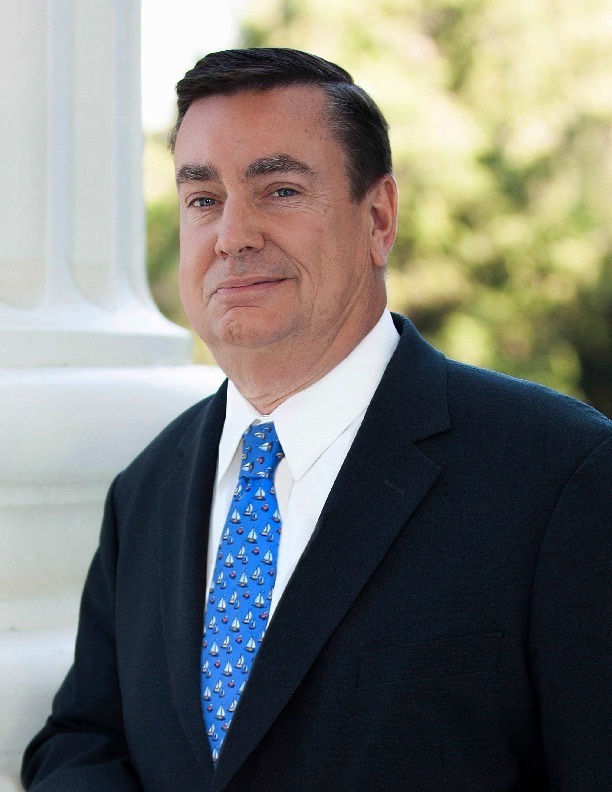 After four years on the water board, Anderson was elected to the California Assembly, where he served two two-year terms. 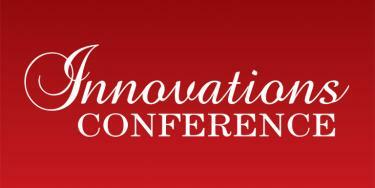 He was elected a state senator in 2010, winning a second four-year term in 2014. As a state senator, Anderson has shown his support for community colleges by co-sponsoring a 2014 bill that provides for a pilot program allowing 15 California community colleges to offer bachelor’s degrees in workforce programs. Anderson is also co-sponsoring a follow-up bill now before the state Legislature that will extend the program to allow 30 colleges to offer degrees, and end a sunset provision in the first bill that is now scheduled for 2023. Anderson said he’s glad the legislation can help other students seeking a degree, just as he did when he was at Grossmont College. 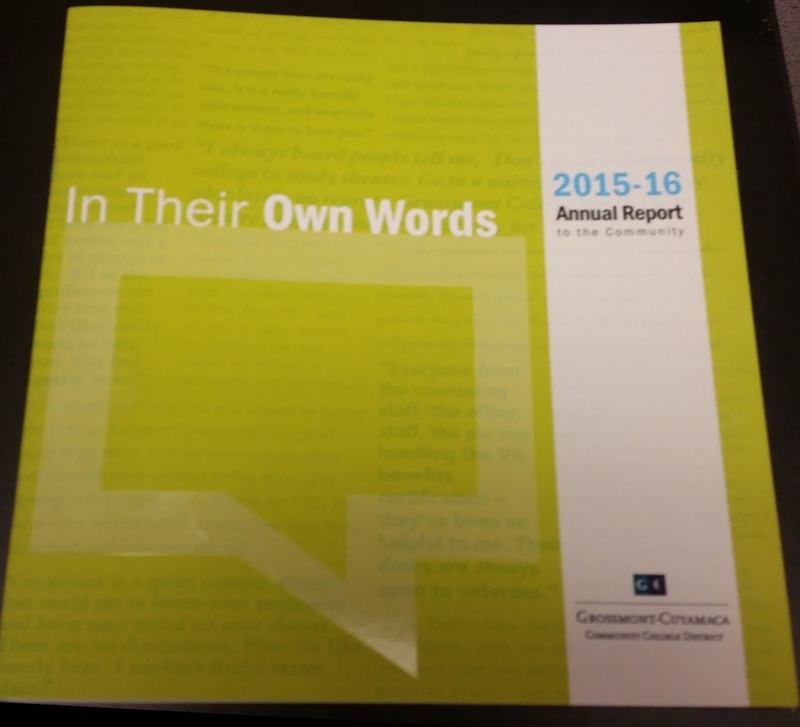 “I have nothing but respect for the quality of education I received at Grossmont College,” Anderson said. 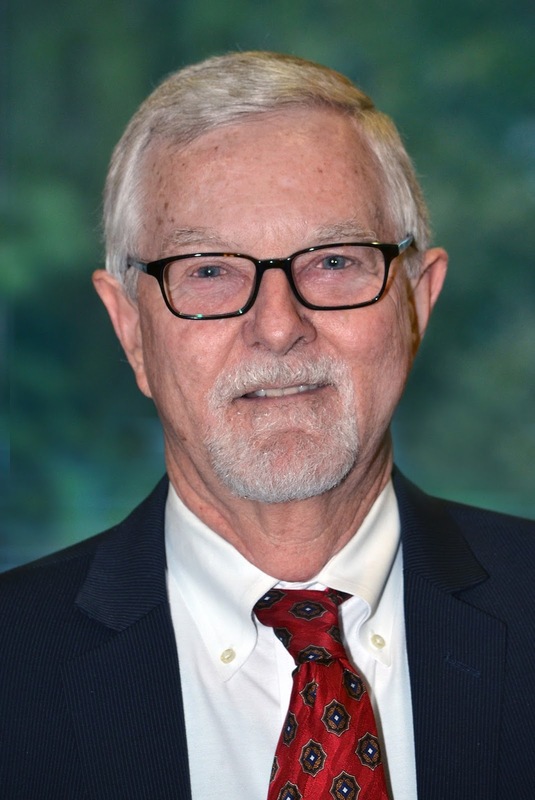 Tim Garfield has seen it all in his 37 years as attorney for the Grossmont-Cuyamaca Community College District. Dealing with issues ranging from student discipline to an endangered species that caused a massive construction delay, Garfield has quietly handled the East County college district’s legal issues based on a deep knowledge of education law and human nature. Garfield attended his last meeting of the East County college district’s board on March 21, where he was honored by Governing Board members and district Chancellor Cindy L. Miles. 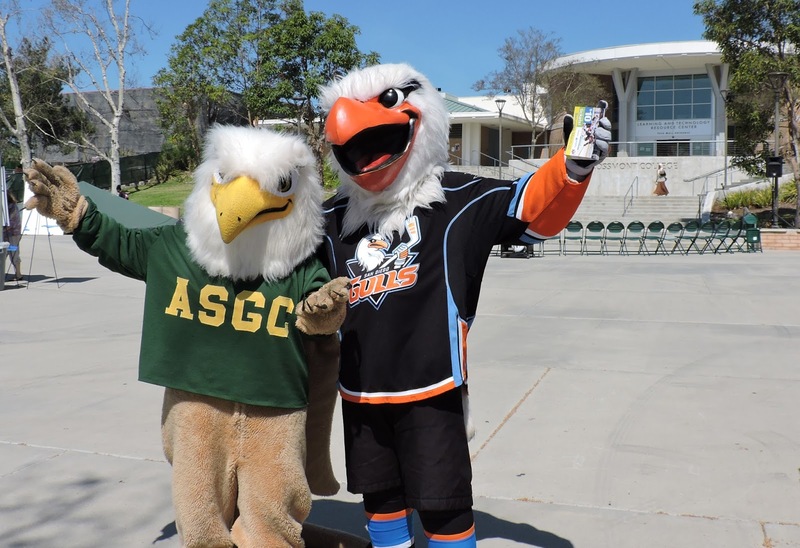 Gulliver with the San Diego Gulls hockey club poses with Gizmo. With just over a week until the biggest community college alumni event around, don’t miss out on a $10 ticket for a Gulls hockey game and a chance to win lots of freebies and prizes, including a Caribbean trip for two. For the second year in a row, community colleges in San Diego and Imperial counties are celebrating on Saturday, March 25, with Community College AlumniFest, a 5 p.m. tailgate bash followed by a Gulls game against the Bakersfield Condors at 7 p.m. for just $10, about half the price of a regular ticket. 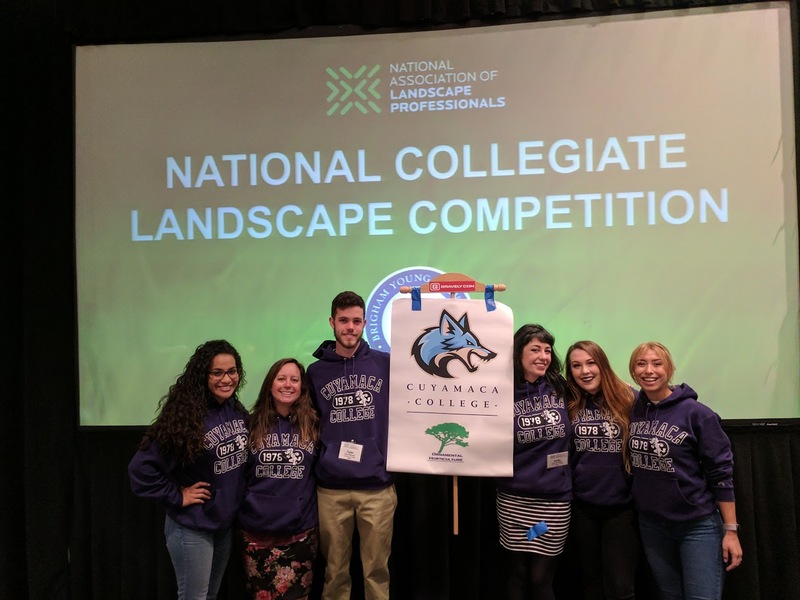 Four instructors from Grossmont and Cuyamaca colleges and an administrator from the East County community college district are recipients of a national award recognizing community college teaching and leadership. Grossmont College art history professor Marion de Koning, and Administration of Justice instructor Shaun Donelson; Cuyamaca College English instructor Lauren Halsted and math instructor Terrie Nichols; and the district’s director of Campus and Parking Services Nicole Conklin will be presented with the John and Suanne Roueche Excellence Awards March 12 at a conference in San Francisco that drew community college representatives from across the nation. 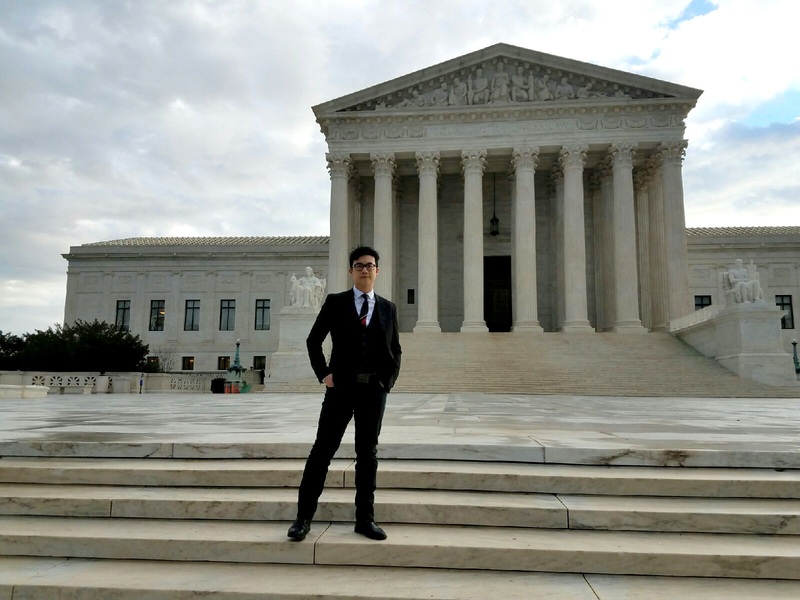 It’s a long way from Grossmont College to the United States Supreme Court, but that’s where Simon Tam has found himself. The former Grossmont College student and his Asian-American rock group, The Slants, are challenging a U.S. Patent and Trademark Office decision denying the band’s trademark of its name based on a 1946 law barring the federal registration of labels or brands it considers “scandalous, immoral, or disparaging.” The Slants performs up to 150 shows annually across North America, Europe and Asia, and describes its work as part art and part activism, often infusing performances with discussions about social justice and inequality. 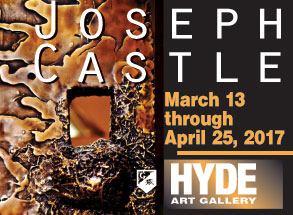 The bronze sculptures of artist Joseph Castle will be on display at an exhibit, “Things We Carry,” opening Monday, March 13, and continuing through Tuesday, April 25, at the Hyde Art Gallery in Building 25 at Grossmont College. 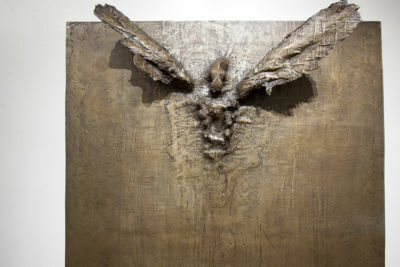 Sponsored by Grossmont College’s World Arts and Cultures Committee, “Things We Carry” consists of 15 bronze wall reliefs, conceptualized and fabricated by Castle. With the largest pieces measuring 8 feet tall, the sculptures are static and extremely heavy. Still, they emit a sense of movement. 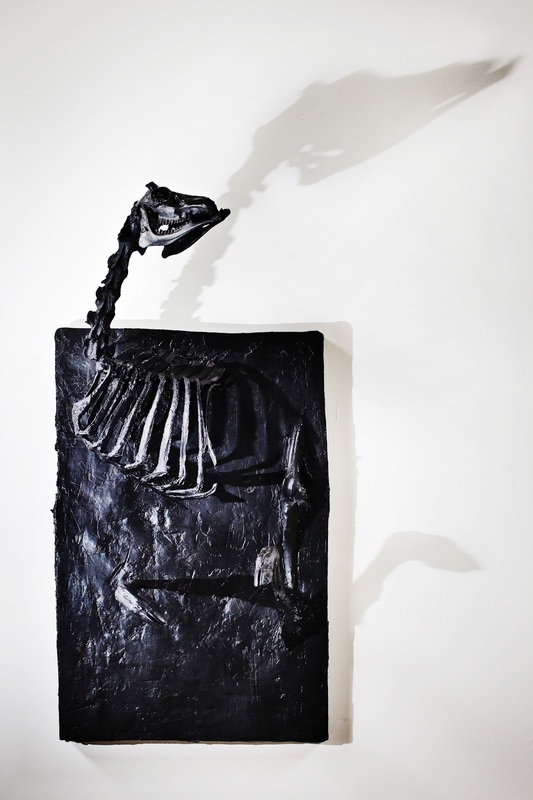 By incorporating and arranging animal remnants into the bronze casting process, the artist creates haunting scenes of floating biomorphic shapes, like mastodons emerging partially intact from the La Brea Tar Pits. The sculptures invoke different archetypical narratives, addressing the sometimes subconscious symbols found throughout mythology and religion to explore themes of life, death, and transcendence. 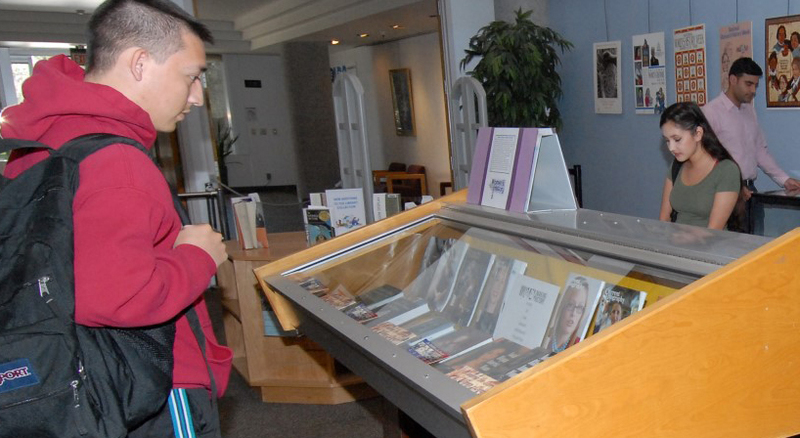 Books and posters on display at the Cuyamaca College library. “Women’s Rights? What Are Those?” -- Thought-provoking presentations and a discussion about barriers to equality that still exist for women, especially regarding their health.